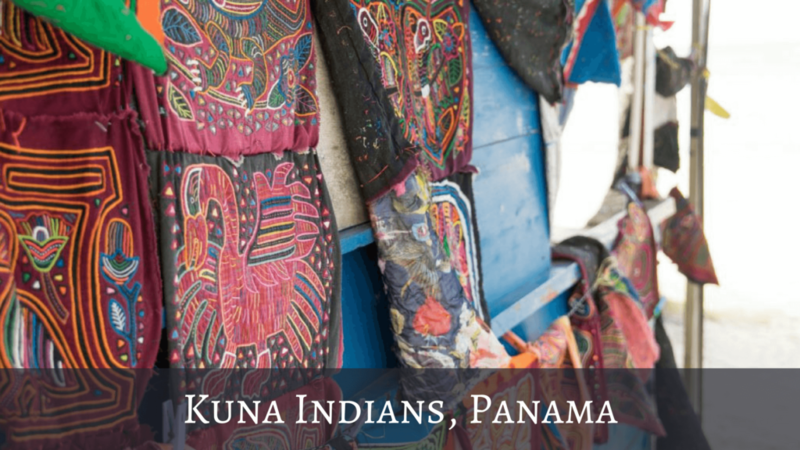 Guna/Kuna Yala is a territory in Panama that is different to the others. It has it's own laws, culture, traditions and rules. For instance, only people from the tribe can buy & own land, and they can only construct traditional buildings using old techniques and local materials. The tourists that visit stay on several islands, but not all of them. Most are kept just for the tribes people. It is possible to visit the Kuna Indians in their villages but we didn't get chance to do that. We did however see the Kunas on our island and on 2 other islands too. This gave us a chance to interact with them, buy some souvenirs and take a couple of photographs (although they did charge me $1 per photo!). 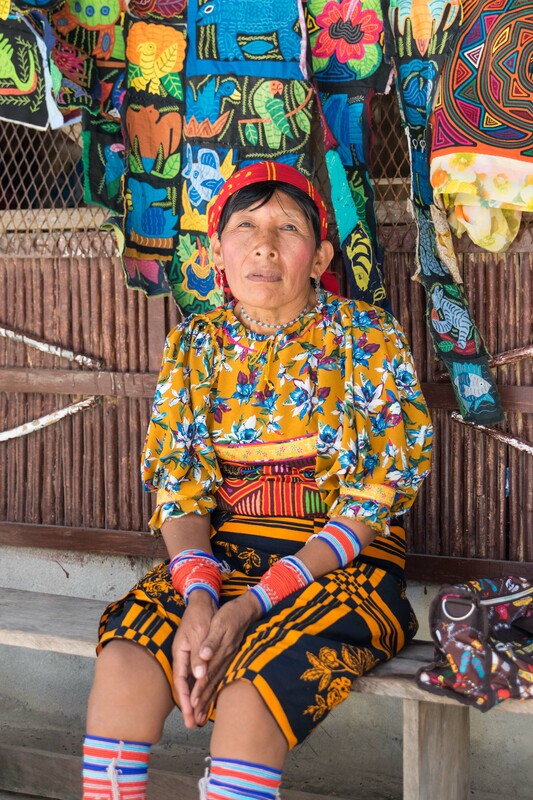 We also saw Kuna women in Panama City. 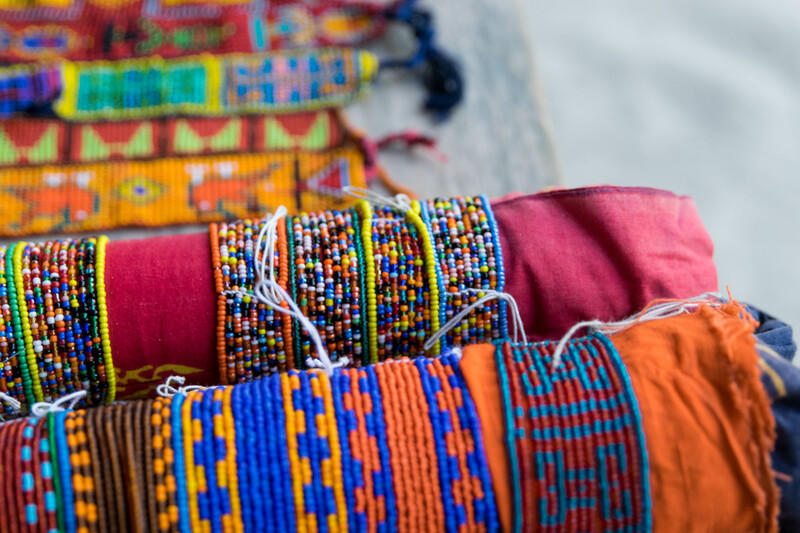 They are easy to spot with their traditional clothing, bright colours and beads around their legs. 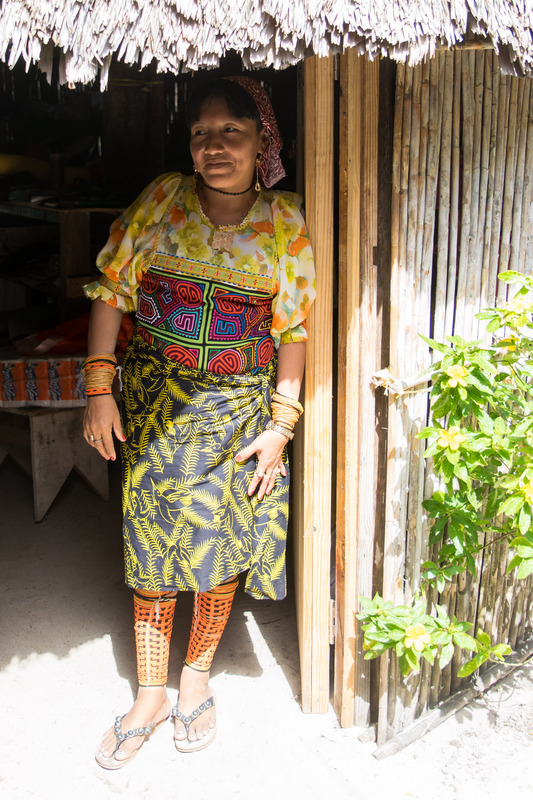 It's nice to see the Kuna women out and about dressed in their traditional clothing as I wasn't sure if they dressed that way for the tourists on the islands, but actually, I was pleased to see that they genuinely dress that way! 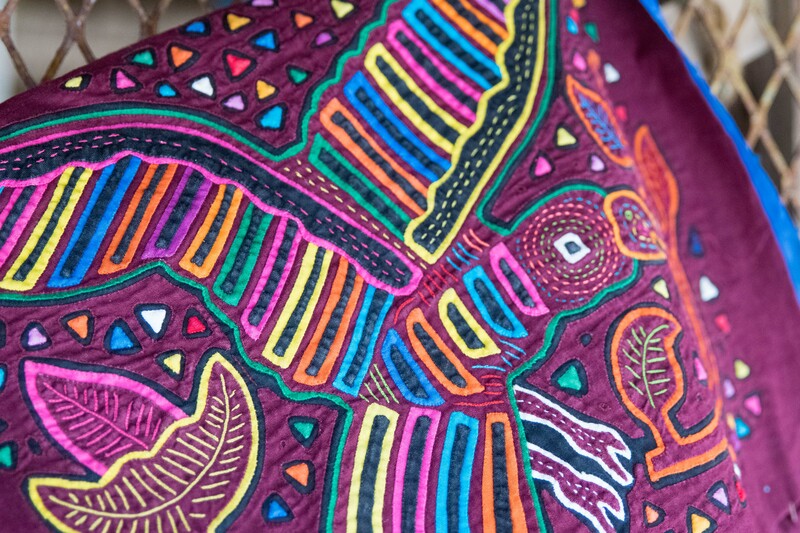 The textiles pieces made by the Kuna women are called Molas. 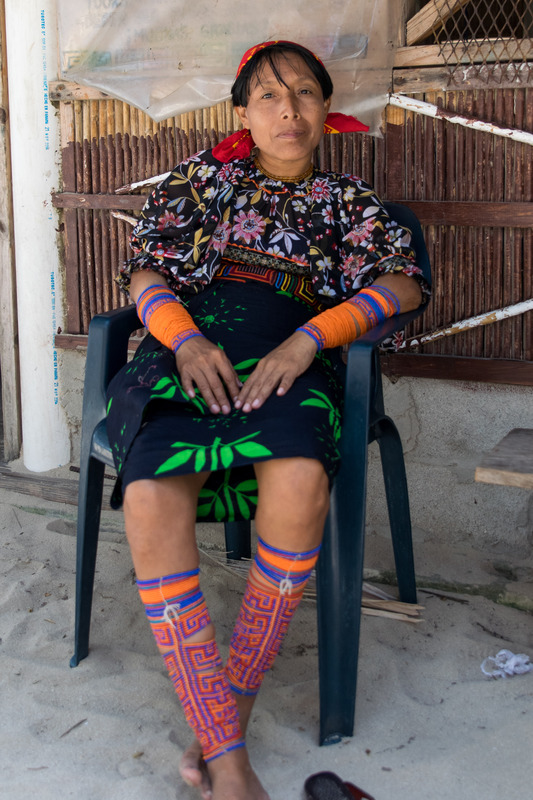 The world Mola translates to 'shirt' or 'clothing' in Dulegaya, the native language. 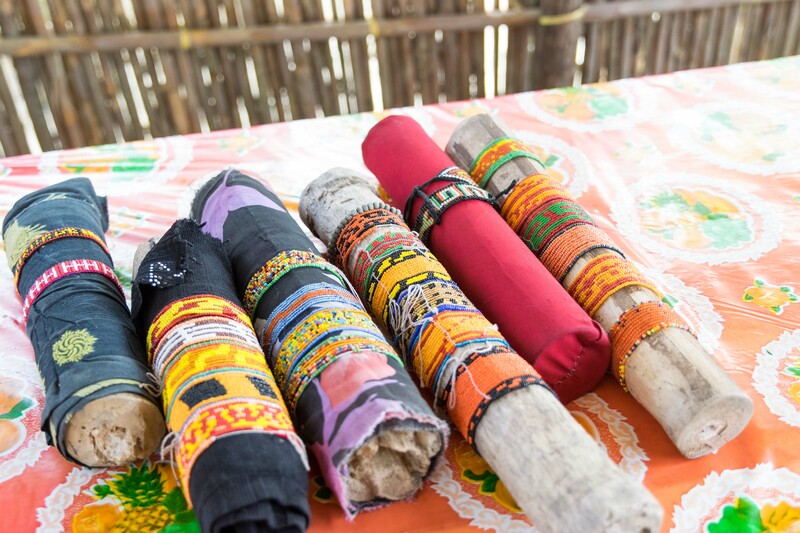 Mola textiles originated with the Kuna Indians painting geometric shapes and designs on their bodies using any natural colours around them. 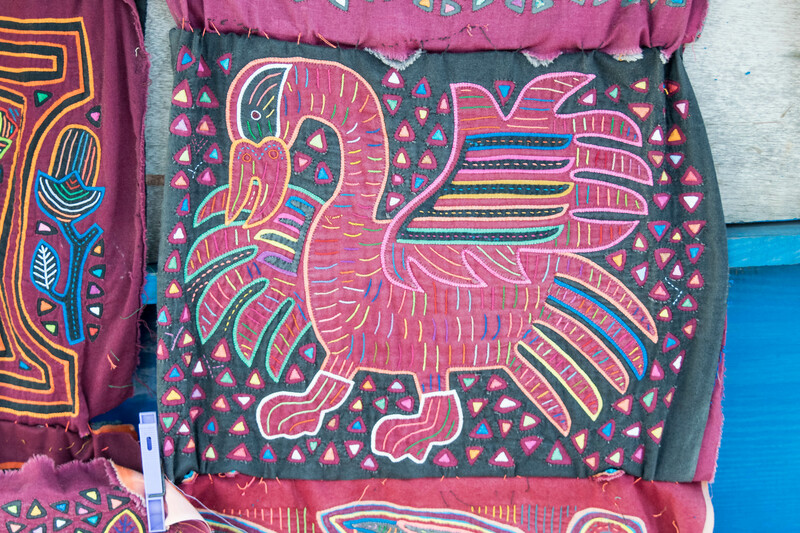 They later weaved these designs into cotton pieces and later still sewed these patterns onto cloth. 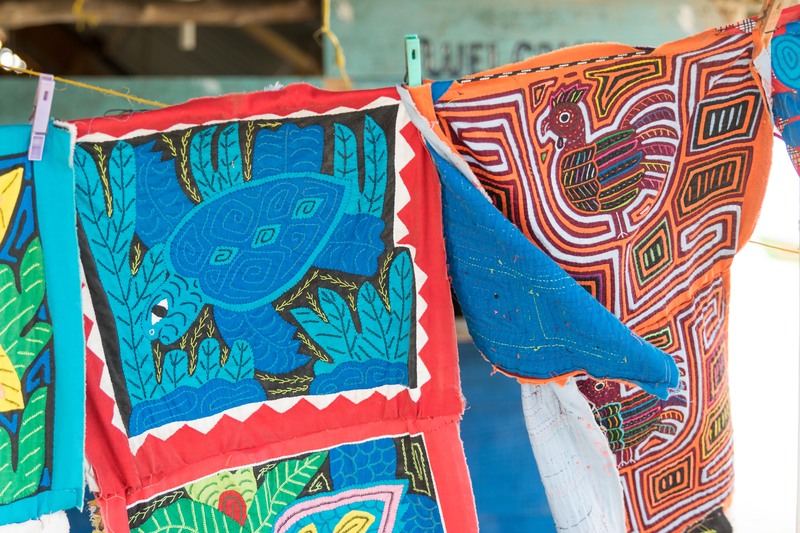 The Mola textiles were available to buy on the San Blas islands. Each island sold a variation of the same thing at a price of around $20 to $30 per piece. 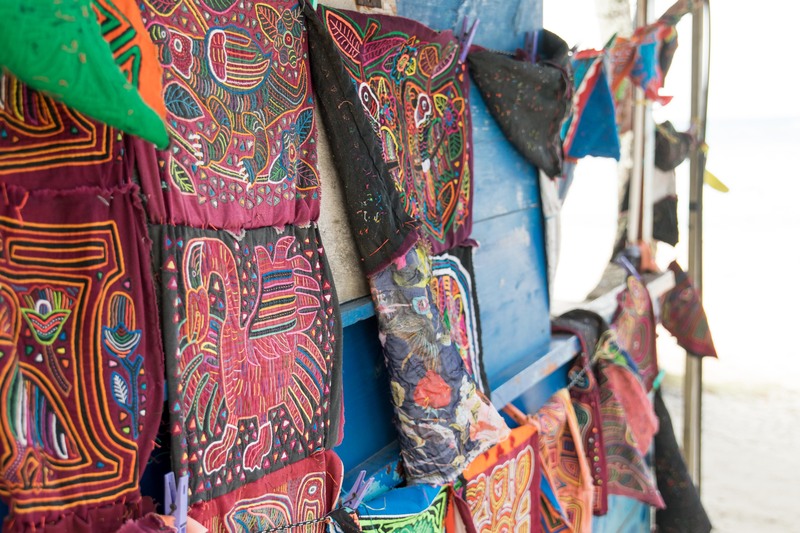 We also saw some Molas for sale at the markets in Panama City where they were priced at $5. I don't know if they were either cheaper because the stitching wasn't as intricate or maybe that's the normal price and the ones on the island were more expensive for the tourists..? Guna Yala in Kuna means "Land Guna" or "Guna Mountain". 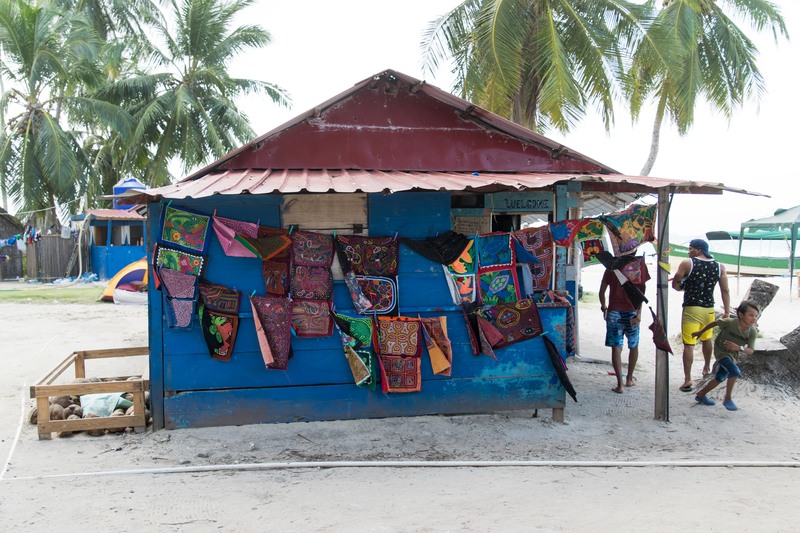 The area was formerly known as San Blas, and later as Kuna Yala, but the name was changed in October 2011 to "Guna Yala" when the Government of Panama recognized the claim of the people that "Guna" was a closer representation of the name in their mother tongue than "Kuna". 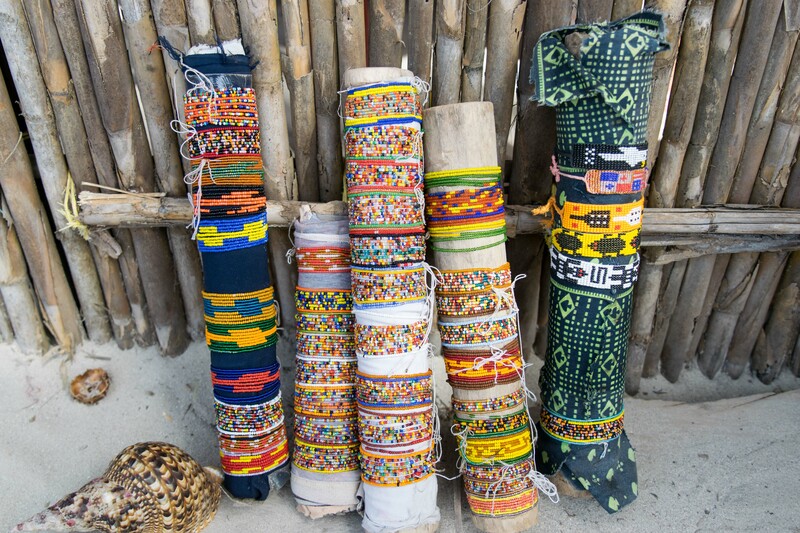 Each woman had matching leg and arm bracelets. I'm not sure if they can change them or take them off and I'm also not sure if they can choose the colour themselves or if they get selected for them..? If you know, please leave a comment below so I can learn about this interesting culture. I recently read that they get the nose rings when they have their first period and become a woman. I find it so fascinating to see other cultures and their customs. I love to learn about what is 'normal' to other people from around the world and widen my knowledge. 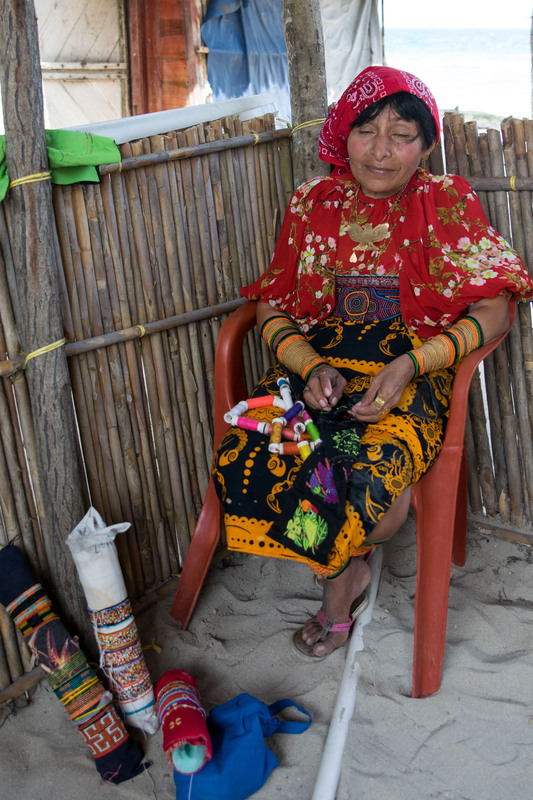 Visiting tribes like this really inspires me and encourages me to travel more and see more. Stay tuned for more blog posts from my time here in Panama coming soon!